Lease a 2018 X3 xDrive30i as low as $439 per month for 36 months! The staff here at Bob Smith BMW in Calabasas, CA is ready to help you purchase a new BMW! Whether it’s the new 2018 BMW X3 or a pre-owned car, whenever you visit our car dealership, expect the superior customer service that you deserve. 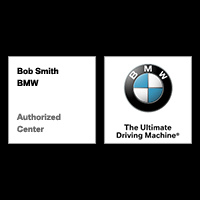 With over 100 years of experience in the automotive industry, the Bob Smith BMW team will get you into the BMW car that was built for you. Get the new or used car with all the special features that you have been dreaming of by calling or visiting our BMW dealership today. We are located in the heart of Calabasas, just a stone’s throw from Woodland Hills, Canoga Park and Chatsworth, CA! We are proudly serving our neighbors throughout Los Angeles and Ventura County. Here at Bob Smith BMW, we have an incredible selection of new BMW vehicles, including the 2018 BMW 6 Series, 2018 BMW 7 Series, and many more great new BMW cars. Don’t forget that we also offer some amazing pre-owned cars as well! We provide a complete car-buying experience and can easily get you into a brand new BMW today. The used vehicles at Bob Smith BMW are carefully inspected by our technicians to guarantee quality for our Calabasas, CA customers. We are continually receiving vehicles for our used car inventory, so check back often. Visit our inventory page to browse through the pre-owned cars we currently have in stock, including certified pre-owned BMW cars. If you see something you like, give us a call or stop in and see us at 24500 Calabasas Road in Calabasas, CA. When it’s time to finance your BMW, whether it’s new or used, contact our finance department and they will get you set up! Have questions but no time to stop in? Give us a call or contact Bob Smith BMW online.